Indulge coffee cravings with this easy, frothy shake. Just combine milk, instant cappuccino mix and whipped topping in a blender and enjoy! 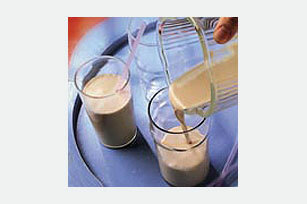 Place milk and cappuccino mix in blender container; cover. Blend on high speed until cappuccino mix is dissolved. Prepare as directed, substituting 1/4 cup of your favorite flavor MAXWELL HOUSE INTERNATIONAL for the envelope of cappuccino mix.